As Egyptians, the thought of not eating rice with everything is just absurd. We add rice to everything, and we eat rice with everything. Roz Balaban, Mahshi, Rice and Molokheya, you name it … We are eating it sweet and savory! There is no issue with eating rice per say, however, the issue is that most of us are eating white rice; not its healthier brown rice counterpart. White rice is basically brown rice that’s been stripped of its brown husk. This precious husk is where all the essential nutrients lie and removing it leaves you with a plain old caloric grain that is associated with many health risks, such as diabetes, and can significantly contribute to weight gain. 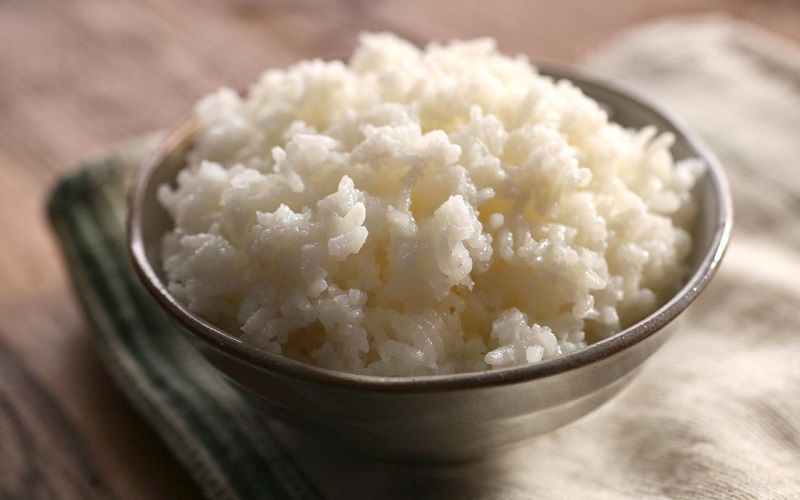 White rice has a high glycemic index, which basically means that it raises your blood sugar tremendously (diabetes alert), and then it crashes, leaving you feeling famished again and raiding your pantry for more goods (or bads). So what can we do to reduce our white rice intake? An obvious substitute. Brown rice is a whole grain that contains the bran and germ, it is rich in fiber, antioxidants, and heart-healthy vitamins and minerals. It would be a good idea to wash and soak the brown rice before cooking to wash away some of the phytic acids on there (phytic acid can block mineral absorption, so no thanks). 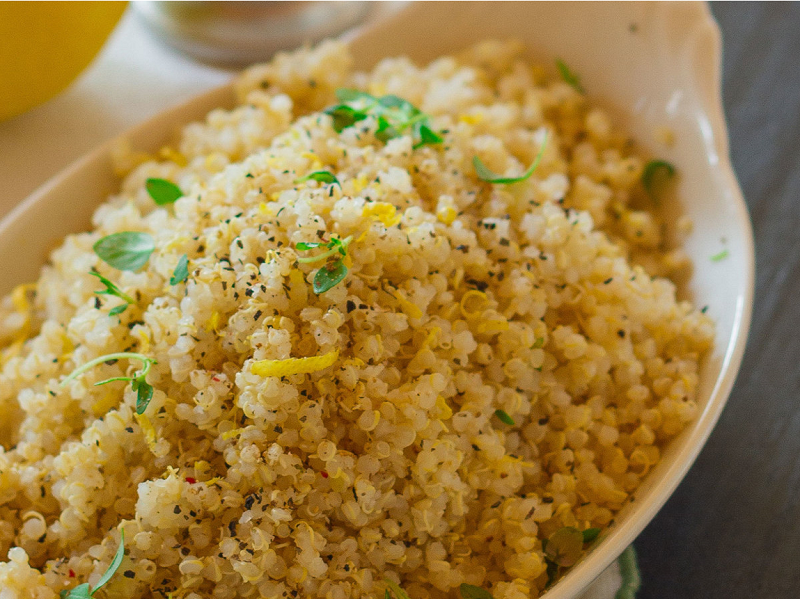 Think quinoa Mahshi, quinoa with Molokheya, quinoa with your veggies, and so on. Quinoa combines the benefits of seeds and grains in one, and thus it is considered a superfood. Here’s why: Quinoa is filled with protein, it’s super high in fiber and is loaded with beneficial vitamins and minerals, like magnesium, iron, and B vitamins. It’s also got some omega 3s which is totally awesome. Eat quinoa over white rice; your body will thank you. I know, I know. Sounds odd and maybe even gross, but this rice substitute is not only tasty, but really low cal! You could eat mountains of cauliflower rice and fit into that old pair of skinny jeans from 2000. If you have a food processor, chuck the cauliflower in there. Once it’s all chopped up into rice-sized bits, either saute it with a dash of sea salt, or simply steam or boil it, and voila! Cauliflower has some surprising health benefits, like lots of vitamin C, K, B vitamins, and even some protein. Another nutritious rice substitute for you! WE SAID THIS: So there you have it, 3 easy white rice substitutes that’ll give you a nutritious boost! Not only are these subs truly healthy, but they are also gluten-free, so you can ride the GF wave too. Enjoy. Soheir is a certified health junkie, mama, and foodie. Her interest in health and wellness spiked during her first pregnancy and led to her completing her Integrative Nutrition certification in health coaching during her second pregnancy. You could benefit from some lifestyle inspiration shared on her Instagram account @foodiemama86. She is also really passionate about art since she was a little girl, and enjoys drawing and painting in her free time.